Resources can be tight at community banks, but Banker’s Dashboard from Deluxe gives bank executives daily access to data they can use to identify potential problems and improve financial performance every day. The new iPad app for Banker’s Dashboard gives community banks access to their most critical information — when, where, and how they need it. Deluxe Corp. created the Banker’s Dashboard web app several years ago to give CEOs and CFOs at community banks daily access to their aggregated financial data. As iPads became more common at community banks, users started accessing Banker’s Dashboard via tablet web browsers. Unfortunately, because the tool is so comprehensive, navigation was difficult on tablet browsers. 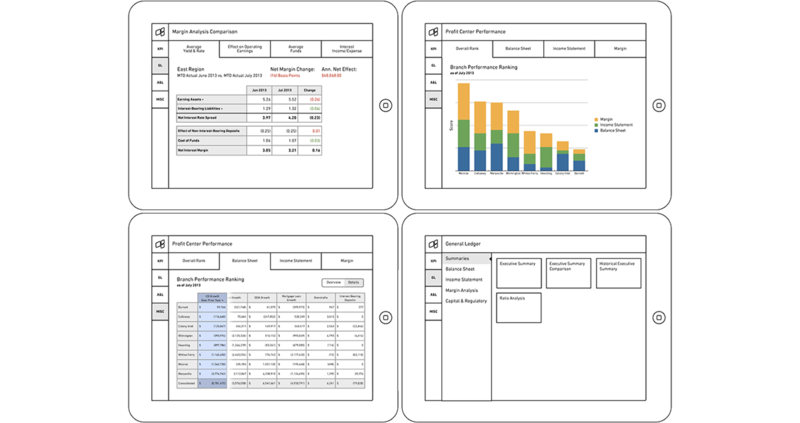 Deluxe asked Atomic to help improve their users’ experience by creating a native tablet version of Banker’s Dashboard for the iPad. 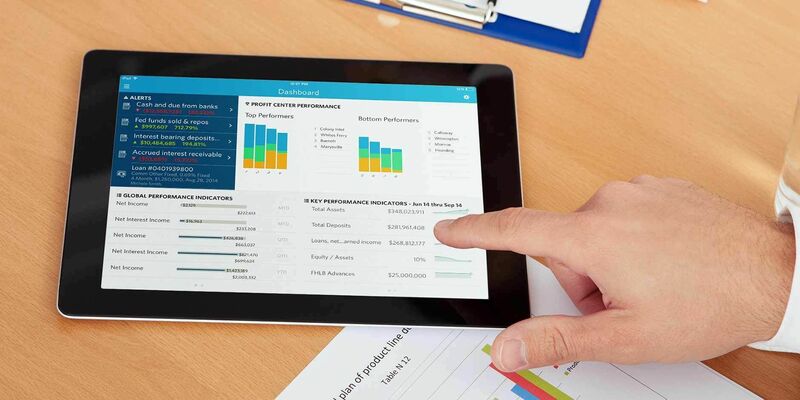 The Banker’s Dashboard iPad app is tailored to the needs of executive-level tablet users — with quick access to the most relevant data and a focused set of features. It uses visual cues and data analysis to highlight information the banker can mine daily, allowing them take early action and improve performance. It also includes a customized alerting system that lets users know about potential problems, such as loans under consideration that don’t fit the bank’s financial targets. Clients have found the iPad app so useful that Deluxe is able to charge a monthly service fee to use it. Bankers traditionally see performance only on end-of-month reports, when the books have been closed. The Banker’s Dashboard app highlights daily information they can use to change the trajectory of their performance in real-time. 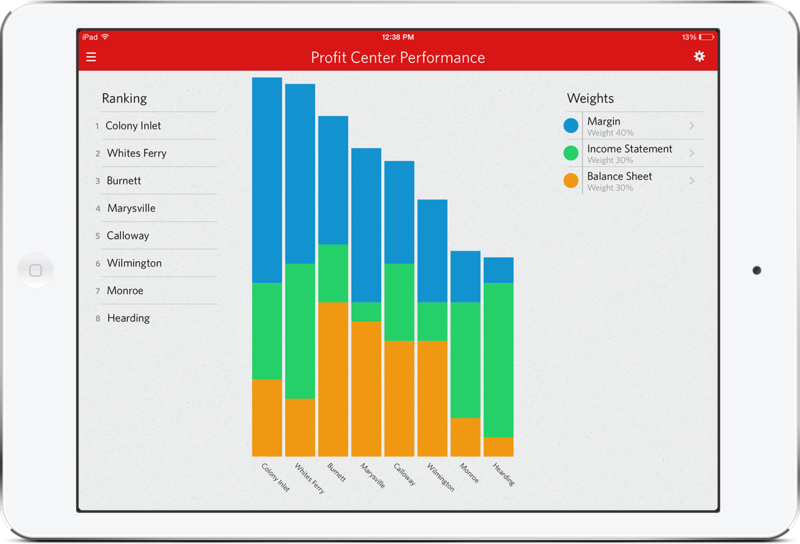 Atomic provided iOS development and design for the Banker’s Dashboard iPad app and created a backend API to connect with Deluxe’s database and translate the financial data for the app.